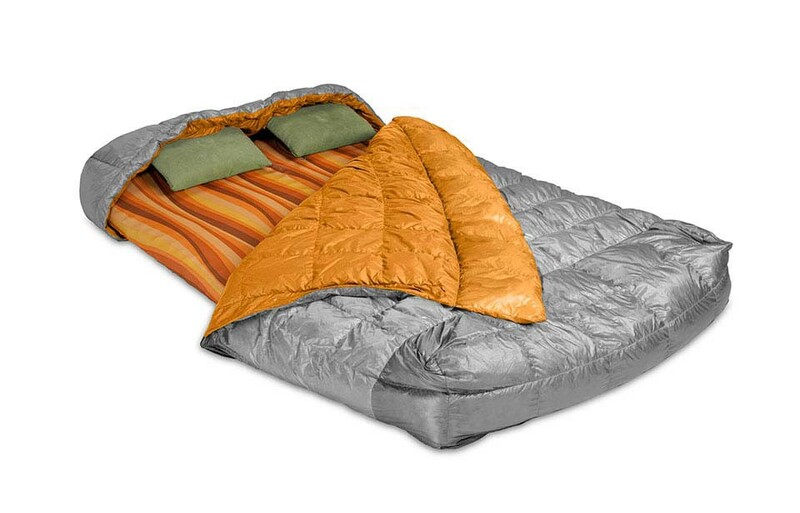 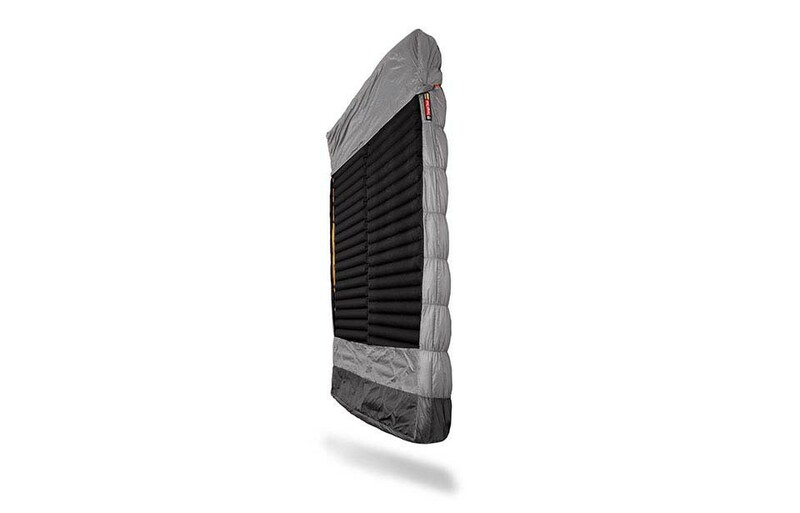 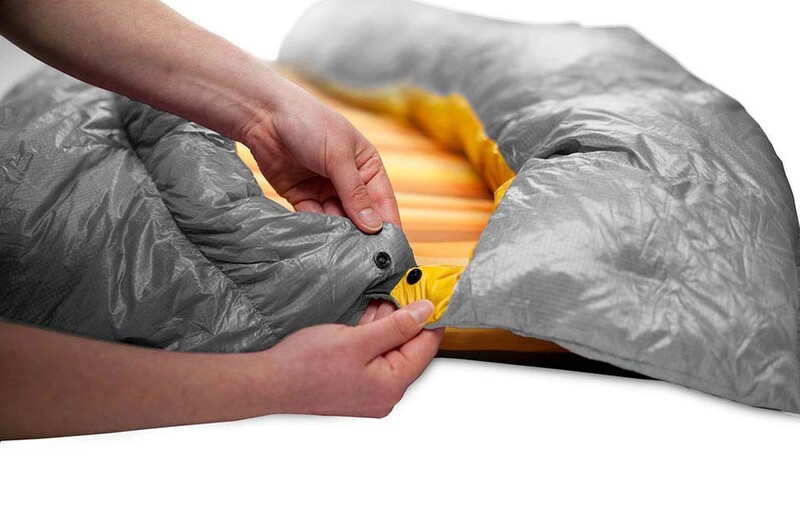 Nemo Tango Duo Slim: 2 person backpacking comforter system. 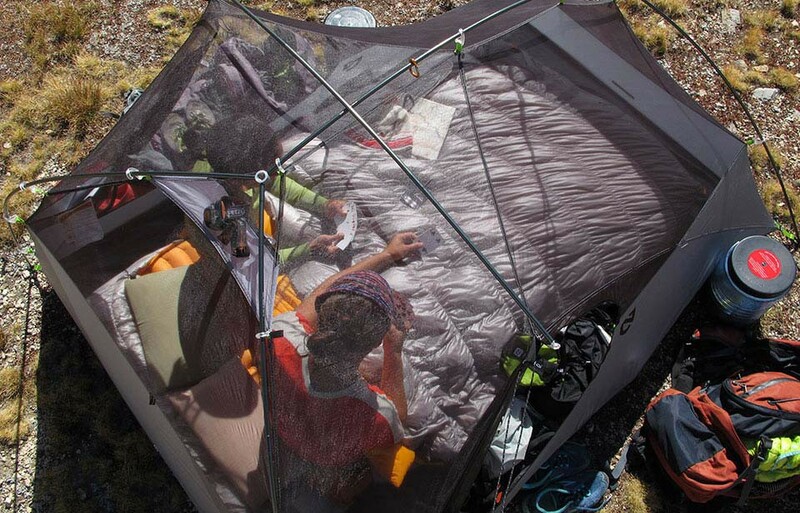 The only way to cuddle in the backcountry ! 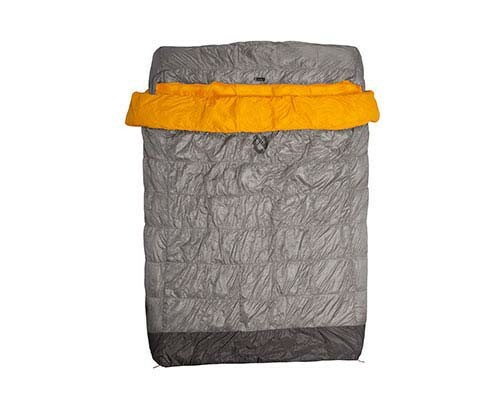 2 person backpacking comforter system. 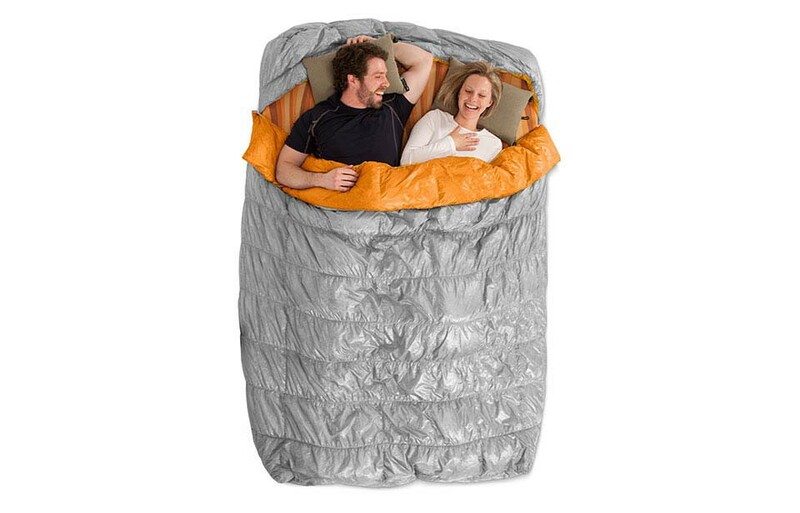 The only way to cuddle in the backcountry ! 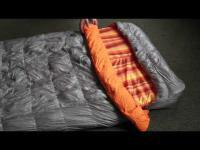 2 person backpacking comforter system. 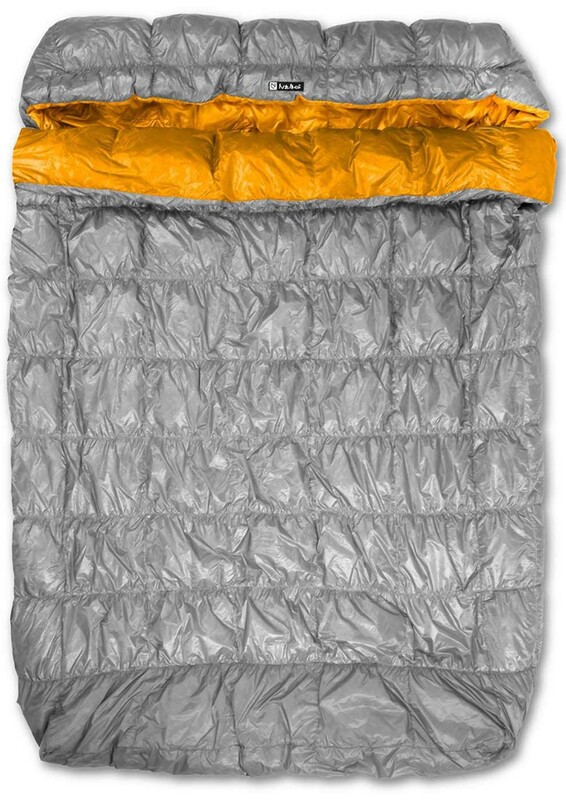 The only way to cuddle in the backcountry: sleeps two for the weight and packed size of one bag. 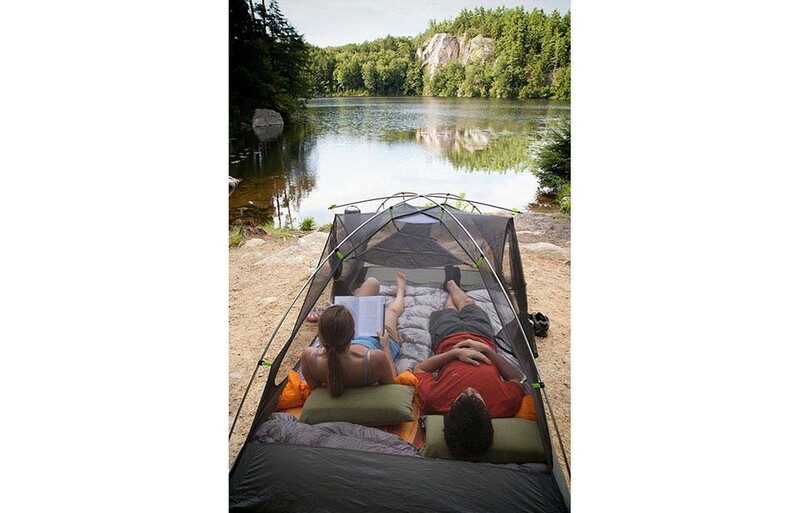 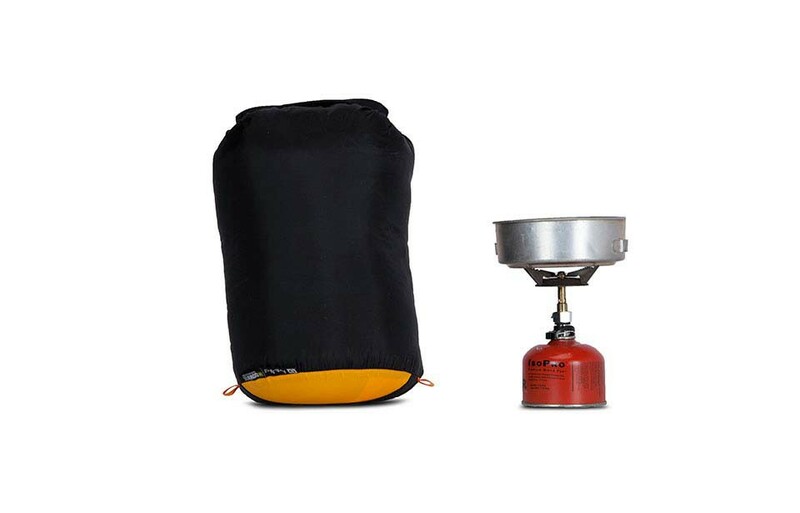 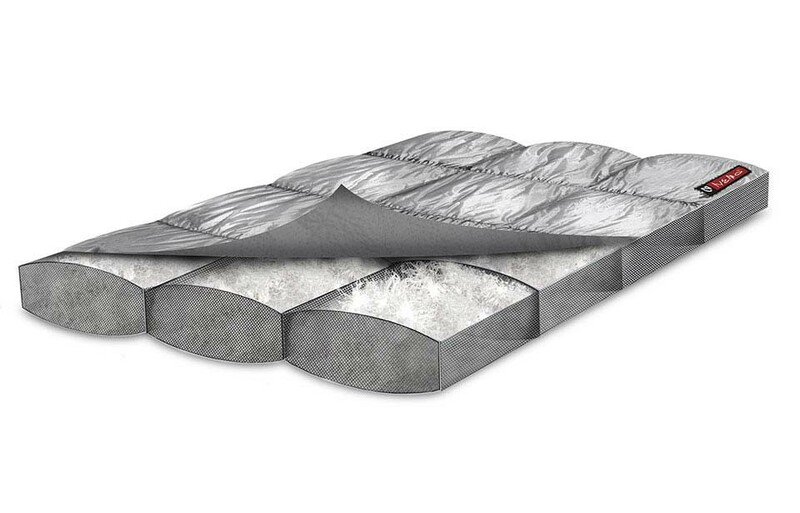 Backless design fits two sleeping pags; nesting perfectly in most two person tents. 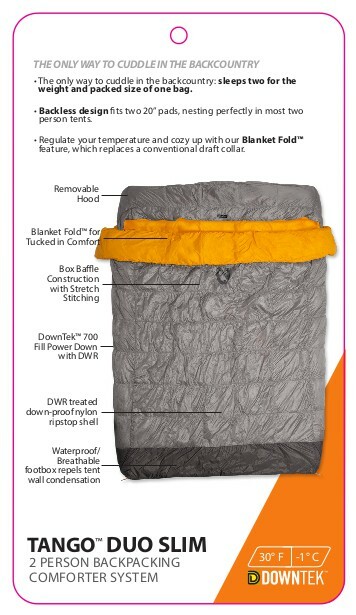 Regulate your temperature and cozy up with our Blanket Fold feature, which replaces a conventional draft collar. 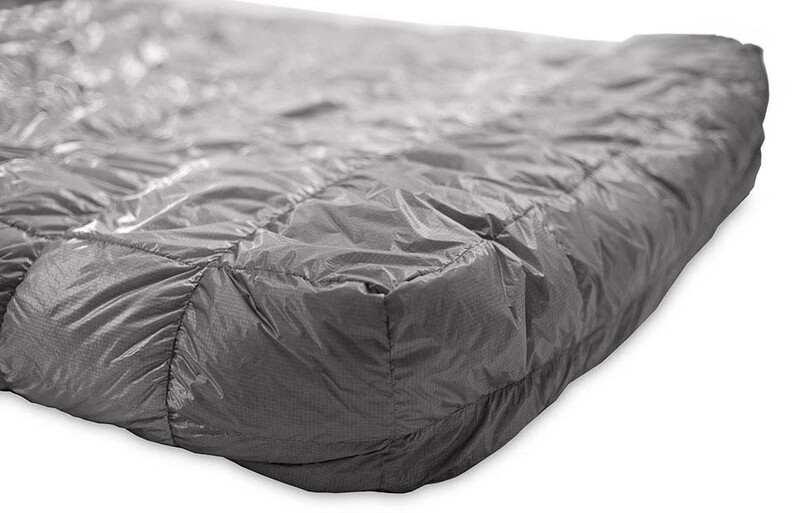 Waterproof breathable footbox repels tent wall condensation.